The Cyclone Style Dining and Meeting Table features a sculptural metal base reflecting the eye of a storm. The top of this stylish dining table is glossy white MDF. 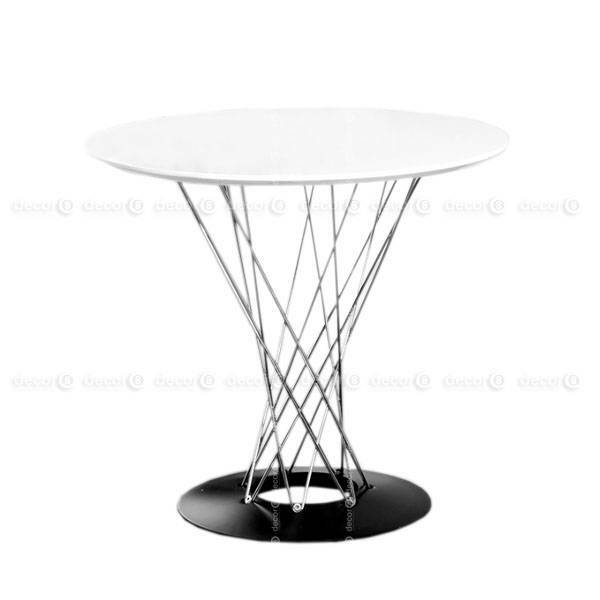 The base consists of a column of interwoven chrome plated steel wires, set into a black lacquered cast iron base. The combination of metal and wood gives this piece a classic yet modern feel, ensuring it will suit any adaptation. Perfect for dining rooms at home, conference rooms at the office or commercial spaces, the Cyclone Style Dining and Meeting Table is a practical and sophisticated addition to your current decor. The Cyclone Style Dining and Meeting Table pairs perfectly with the Decor8 Eiffel DSR Dining Chair or browse more Dining Chairs or Work Chairs. Looking for more tables? 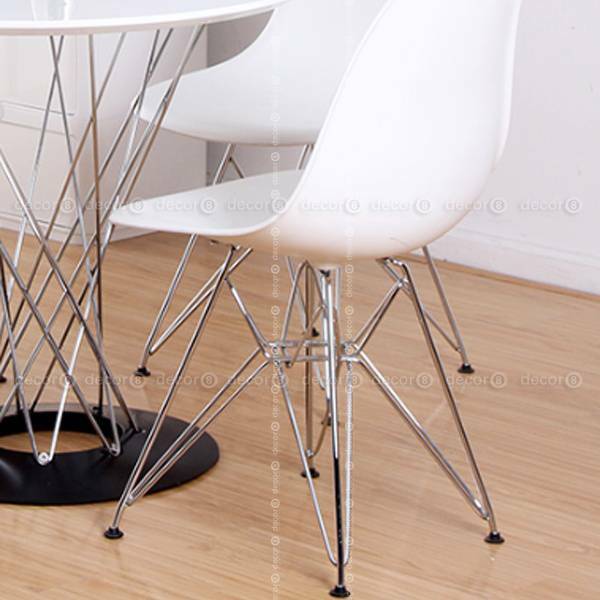 Check out more Dining Tables or Conference Tables.